WHAT: This is why people hate TIFF. Many press releases, earnest attempts to create intrigue and build-up, all promising a “spectacle” to kick off the festival. 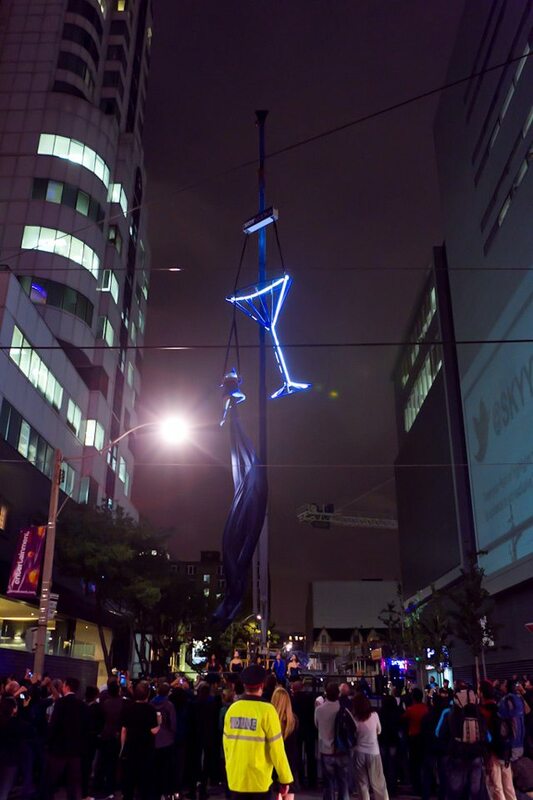 And what we got was a dancer hanging off a wire martini glass, advertising Skyy vodka. Keep an eye out, Torontonians, the season of ludicrous PR stunts is upon us.